COnflict of Interest is also available from Kobo, Barnes and Noble, and Smashwords. A new job, a fresh start, and things are looking up for Harry. Maybe going straight isn’t so hard. He didn’t expect to stumble over a job aimed at his new employer, for the kind of money a crook could retire on. It should be simple enough: tell the police, let them arrest the criminals, claim a reward. Sorted. When his old life meets his new job, Harry’s going to have a few hard choices to make. 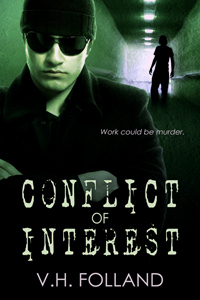 Conflict of Interest is a crime novella, sequel to The Docks.